The day started with Dr. Marcus Messner giving a workshop on the foundations of social media. This refresher course not only talked about best practices and do’s and don’ts of the major social media channels, but also devoted time to pro bono resources in the community that nonprofits can take advantage of, like the Social Media Institute at VCU, Pro Bono Listings on ConnectVA and even an announcement of our new partnership and contest with NS804 Apps and Commonwealth PR to offer the concepting, development and marketing of a mobile app to one lucky local nonprofit! The official kick-off, breakfast and networking took place in the Weinstein Sculpture Garden, where ConnectVA Staff, Liz and Lisa welcomed attendees and thanked the generous sponsors for the day – IT4Causes, Entrust Financial Credit Union and CW Richmond. 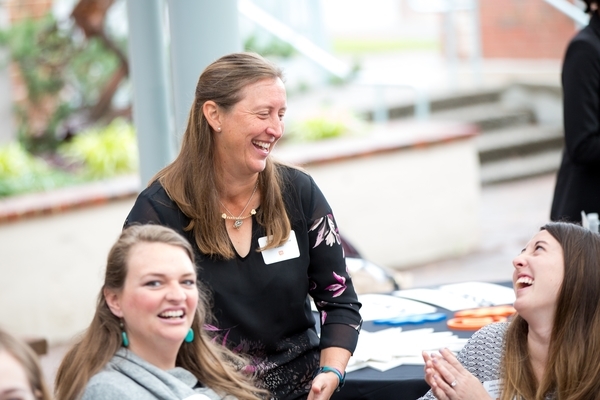 IT4Causes revealed their new branding and sponsored breakfast, Entrust Financial Credit Union held a giveaway for a nonprofit donation (congrats Meghan Pritchard with Lutheran Family Services of Virginia)! 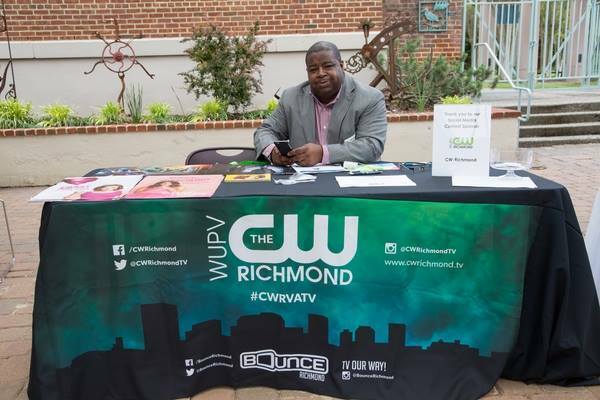 New this year, CW Richmond sponsored the Social Media Contest – where attendees were encouraged to tweet and post the #SMC4NP16 hashtag to win $2,250 worth of media promotion on CW Richmond as a grand prize and runner-up receives a Nonprofit Learning Point Class and a Board Training for Two! The runner-up is Children’s Hospital Foundation and grand prize winner is Ronald McDonald House Charities of Richmond! 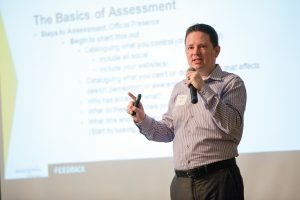 The conference rolled on with Breakout Session options attendees could choose from – learning about assessing & aligning social resources or creating a social media crisis communication plan. 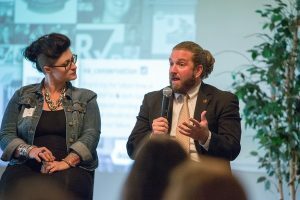 Dean and Caroline Browell honed in on the importance of assessing what you’re doing well online and on social media channels and how to focus your efforts on greater impact. 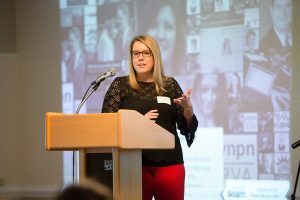 Caroline demonstrated how she’s amplified engagement at Make-A-Wish Greater Virginia on social media channels by changing approaches to visuals, content and story-telling. At the same time, across the Art Center, Sarah Milston was teaching attendees how to plan for a social media crisis. Any organization is subject to something negative happening – from an issue with a client, to a problem with a board member, nonprofits small and large must be prepared to handle these types of situations, as social media can start a wild fire of negative publicity and have lasting repercussions. 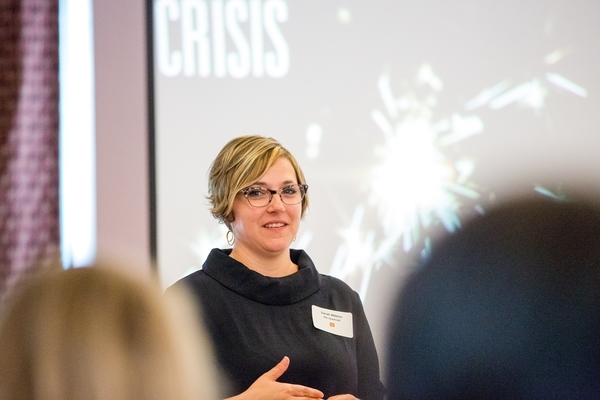 From a planning team to peer networks to ambassadors and consistent messaging, attendees left with a much better understanding of how to handle a crisis via social media and communication planning. The attendees moved onto the second Breakout Sessions and many were excited to hear about how to build social partnerships with different sectors from our panel with representatives from Lewis Ginter Botanical Garden, Patient Services Inc., Virginia Tourism and the Richmond SPCA. Jonah Holland shared how LGBG has built relationships, broadened audiences and created new and interesting content through partnerships with local nonprofits, like FeedMore, HandsOn Greater Richmond and Richmond SPCA. 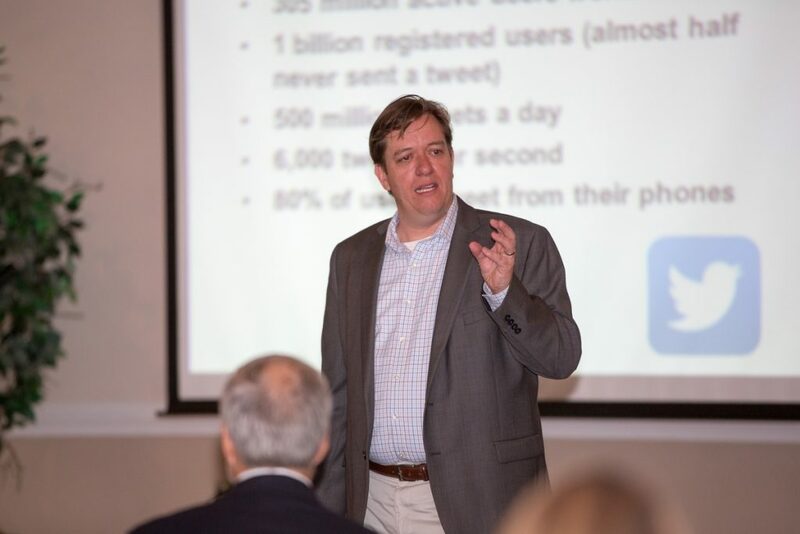 Kelly with PSI talked about how they leveraged patients in the community through digital advocacy in the Fair Copay VA Campaign. 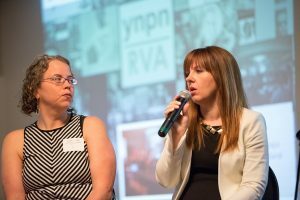 Caroline Logan focused on how Virginia Tourism rocketed the Virginia is for Lover’s brand by building a grassroots campaign with state-wide businesses, organizations and government to bring UK sensation SORTEDfood to Virginia – they even wound up on the TODAY show! 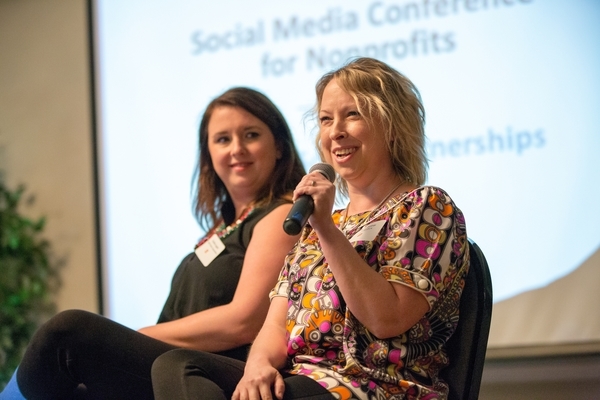 Finally, Tabitha with Richmond SPCA shared how they’ve gained incredible media and social engagement by building partnerships with local businesses like Pasture – and even wound up with getting online donations! Meanwhile, another Breakout Session was happening with Kelly Vance, founder of VANCE on the importance of using your website to truly build your online presence. Attendees learned best practices and saw real-life examples of how to tell stories that truly resonate with their audience and how to identify your best content through tools that are right at your fingertips, like Google! Soon after the Breakout Sessions, attendees grabbed lunch and hurried into the ballroom to hear from the one and only Beth Kanter! 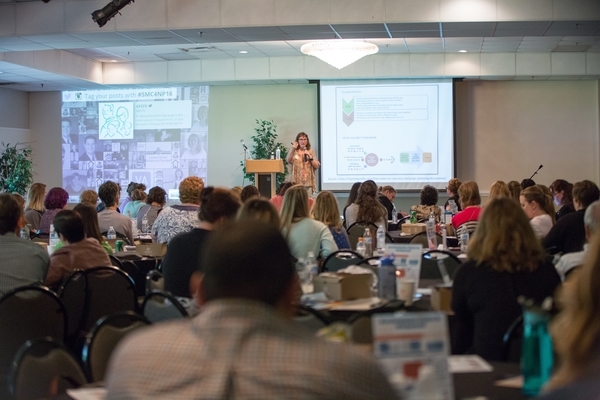 She talked about the history behind the digital age and moved into assessing your organization’s own state online – with having attendees analyze whether they are “crawling, walking, running or flying”. She taught attendees the basics of improving your current state by building a “Networked” approach to improve impact and presence. 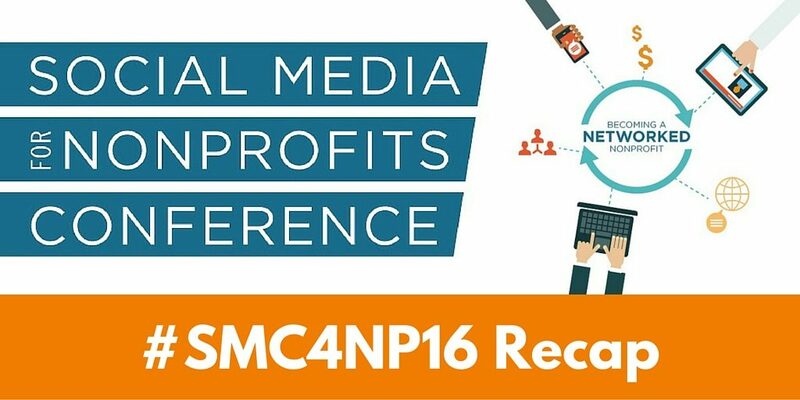 The Keynote was so popular and there were so many quotable moments that the event hashtag #SMC4NP16 officially went viral and reached number 2 on “Trending on Twitter”. 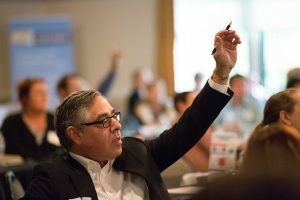 After the keynote, attendees learned from incredible local examples of successful online fundraising campaigns with Sportable, Studio Two Three, VMFA and Randolph-Macon College. 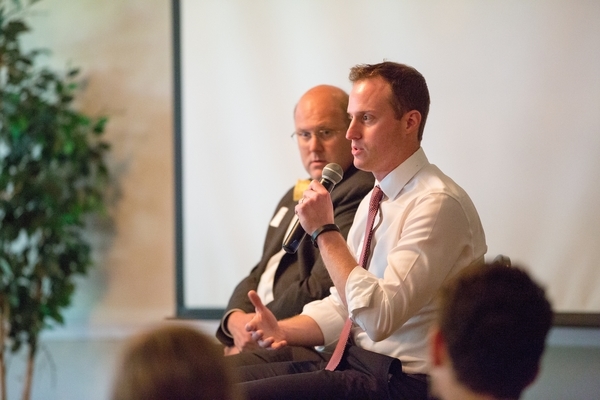 Hunter, Ashley, Tom and Rick all gave candid and honest testimonies of the best practices and challenges they faced. 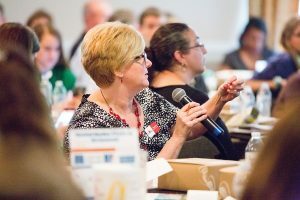 When it came down to it, panelists agreed that in order to have a successful online fundraising plan you must plan well-ahead of time, enlist supporters and have reasonable goals – this includes goals beyond raising funds, like awareness and public engagement. They advised only to use online fundraising methods if they make sense to your goals; online fundraising should be a solution to a problem, not a goal itself. 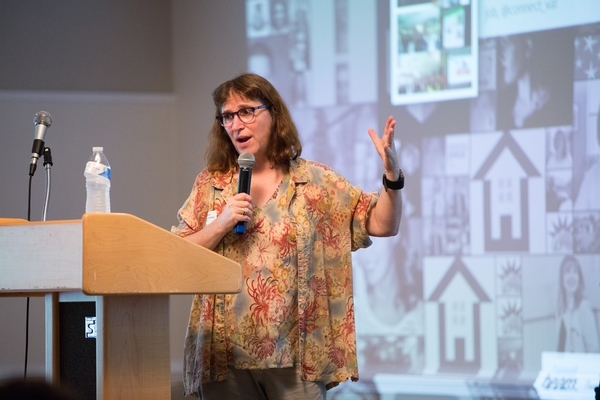 Finally, the audience was treated to a one and a half hour workshop with Beth Kanter to round out the day. This interactive session allowed participants to ask questions and get advice on real-time issues they’re facing, from both Beth and their peers in the room! Beth shared best practices in building communication strategies, ways to use channels to reach your audience, why and how to get leadership on social media and creating compelling content with great advice for methods and tools! 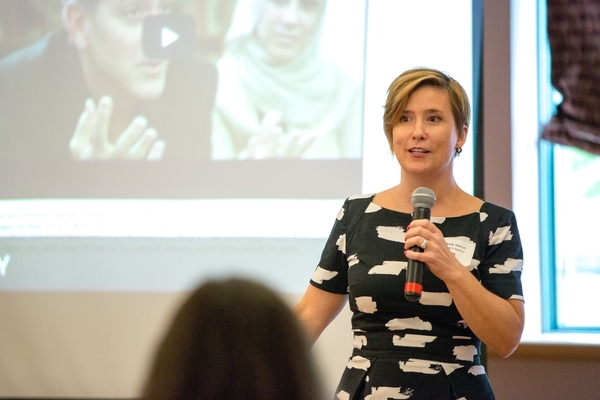 Beth even did a live stream and demonstration using the tool Periscope – which can be great for engaging your board members, donors or supporters in real-time! Beth challenged all participants to take away one critical piece of advice from the conference and put it into action – and we’re already seeing results!